Get cash for your car in Hawaii today! Sell your vehicle today and get immediate payment when we pick up your car. We purchase cars in every city in Hawaii, sell your car in Hawaii now. Easy – Only takes 3 easy steps to get cash for cars in Hawaii. Price – Due to our extensive network of buyers/auctions throughout the United States, National Cash 4 Cars is able to offer you the highest price for your car in Hawaii. Free Pick-up – Our drivers are able to come to all cities in Hawaii to pick up your vehicle, and give you your money on the spot. Convenient – We serve every single city and market in Hawaii. Cash for Cars in Hawaii today! Courteous – National Cash 4 Cars works with its customers in Hawaii to ensure the smoothest selling experience, and strongly values the lifetime partnership with our Hawaii customers. Stress Free – National Cash 4 Cars buys any make or model, running or not. We buy used vehicles in all types of conditions. Get top dollar in Hawaii today! Expertise – Over 50 years of automotive experience, we are standing by to purchase your car in Hawaii today! No matter what condition the car is in, it is possible to make money off of it. While most people would not be interested in buying a car, truck or van that is a total wreck, companies that offer cash for cars in Hawaii will buy a vehicle no matter what condition it is in. All a person has to do is call a company, provide information on the vehicle in question and then sit back and wait for the tow truck driver to arrive. When the company truck arrives, one will be paid in full for the vehicle, which will be towed from the seller's home at the company's expense. This whole process takes only a day or two and is much simpler than taking the car apart and selling it for parts or selling the car to a junkyard. A person will naturally want to get as much money as possible for the vehicle. The fact is that there are numerous factors that determine how much one will be offered for the vehicle for sale. Cash for cars companies will usually ask the seller to note the model, year and make of the car, along with the condition of the engine, transmission, body and car interior. A person can also enclose photos of the vehicle if he or she desires, but this is not mandatory. A car that can be driven will usually fetch a higher price than a car that has no working motor and/or transmission. A person selling a wrecked vehicle should consider this fact and see if the car can be made roadworthy with a few simple, relatively cheap repairs. Likewise, doing some inexpensive body work on the car may help the seller to get a better price for it than he or she would have gotten otherwise. On the other hand, one does not want to invest money fixing up a wrecked car for sale. A person selling a wrecked car should consider how much can be gotten for the car as is compared to how much could be gotten if the car were in slightly better condition. Consulting a mechanic is always a good idea in such an instance. How much money one will make off of a wrecked car will also depend on which company the car is sold to. Cash for cars companies will almost always pay more for a wrecked car than a junkyard would. Junkyards pay for a car based on the weight of the metal while cash for cars companies sell the car to a third party and so can afford to pay a higher price than a junkyard can. 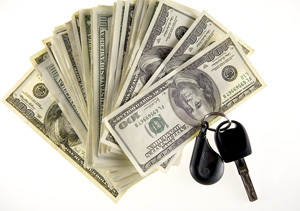 It is best to choose a cash for cars company that is large and operates on a national level. The larger the company is, the more buyers it will have and the more it will pay for cars that it buys. Calling a few companies can be a good idea, as most companies give a quote over the phone. One can then see which company is willing to offer the highest price for the vehicle. Getting rid of a wrecked car can be speedy and profitable if one sells the car to a cash for cars company. One good company of this nature is National Cash for Cars. This particular company handles all sales in a speedy manner, pays a decent price for the vehicles that it buys and does not charge an extra fee for towing the car or helping to fill out the paperwork.